Nicki Minaj hit up the Perfections night club in Queens, New York shortly after pulling out of Hot 97 Summer Jam concert on Sunday. 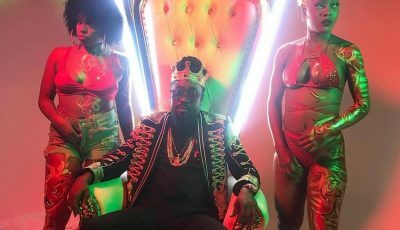 The Harajuku Barbie was spotted having a good time with fellow emcees Foxy Brown, Cam’ron and dancehall star Beenie Man. 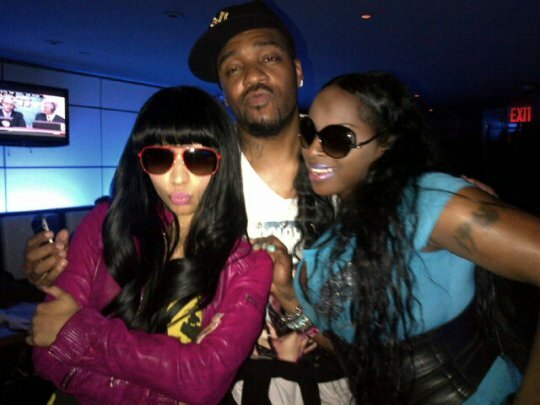 Nicki was snapped grabbing a handful of Foxy Brown’s assets. “Da fact that Cam is readin me for not havin instagram…. *orders another round* n**gaz got mad jokes. Oh??? ?,” tweeted Nicki Minaj. Nicki is Looking so beautiful and charming . GOOD TO SEE SHE CAN HUMBLE HERSELF AROUND THE REAL ARTIST!